Fences have been used for a multitude of reasons throughout American history, and they’ve become a staple of our society in the process. You can use a fence to make your property look better, enjoy more privacy, or create an efficient sports area. Continue reading and explore some of the top uses for fencing. People have marked off their territory in different ways throughout history, and one of the most popular ways to do it in today’s day and age is with a fence. If you’re going to line your property with a fence , you should make it a good looking one, so think about your options and don’t rush your decision. Iron fences are strong and durable, and they tend to fit in particularly well with more modern design schemes. If you’re looking for a way to bump up your curb appeal and make your home more attractive, a new fence might be just what you need. Fencing brings a new element to your property design, but it’s also practical if you like to keep yourself a little more closed off to the rest of the world. Privacy fences make it easy for you to enjoy your solitude when you sit by the pool or lay out on the lawn. Iron gates are cosmetically attractive and do a good job of keeping intruders off your property. Thanks to fencing, you can make your home more attractive and valuable while also protecting yourself from anyone who would seek to break in. A chain link fence is sturdy and dependable, and it’s great for enclosing a sports area. Tennis and basketball courts are typically closed in with chain link fences, which are cheap, effective, and easy to keep clean. No matter why you’re looking for fencing in San Jose, A-1 Fence Inc. can be of help. Our crew can make your fence design ideas come to life, so visit our website or call our office at (408) 259-2955 for an overview of our services. Your fences won’t last forever if you don’t take care of them, but regular maintenance can make a huge difference. It’s a good idea to go with durable materials that will last over time, keep children from playing on the structure, and use a security system to protect your investment. Here’s a look at how to prevent damage to your fencing. Not all fences are the same, which is why it’s a good idea to look at your options and choose a material that will stand the test of time. Materials like wrought iron are known to stand up over time, and this durable metal shouldn’t show too much damage from the elements. If you want fencing that will successfully resist damage, wrought iron may be your prime choice. Kids will play just about anywhere if they can get away with it, but this comes with its drawbacks. Some types of fences are easier to climb than others, making them more appealing to children who are looking to do something with all of the energy they always have stored up. If you want to keep your new fence looking as pristine as it can, you should remind your children not to play around on it. In addition to protecting your investment, you can protect your children from injuries. It’s not feasible to keep an eye on your fence all day and all night, but your security camera can. 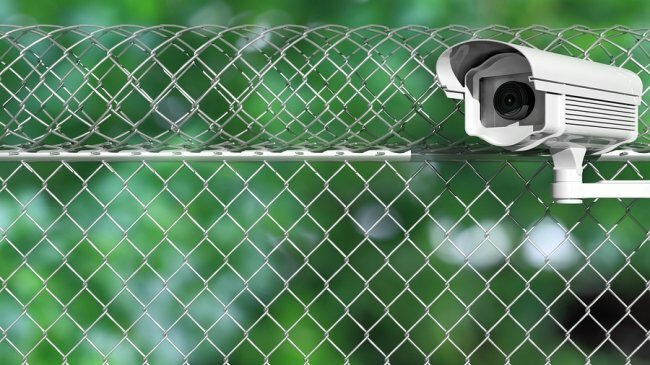 If you’re worried about vandals and crooks trying to mess with your fencing, then a security system may be an excellent idea for your property. Even if someone damages your fence, you’ll be able to use your security system to find out who it was. The professionals at A-1 Fence Inc. can help you keep your fences in San Jose maintained and extend their working lives. From cast iron gates to pool fences, we can help you out with all of your fencing needs. Give us a call at (408) 259-2955 or look through our website to learn more. There are several choices of fencing material available, and all have their advantages and drawbacks. Some common fencing materials used in California are chain link and wrought iron. Check out this video clip to find out more. The main factors to consider when choosing a fence material are cost, maintenance, and fence design. For example, chain link fences are one of the most inexpensive fencing choices, with minimal maintenance, but you may not consider them the most attractive. 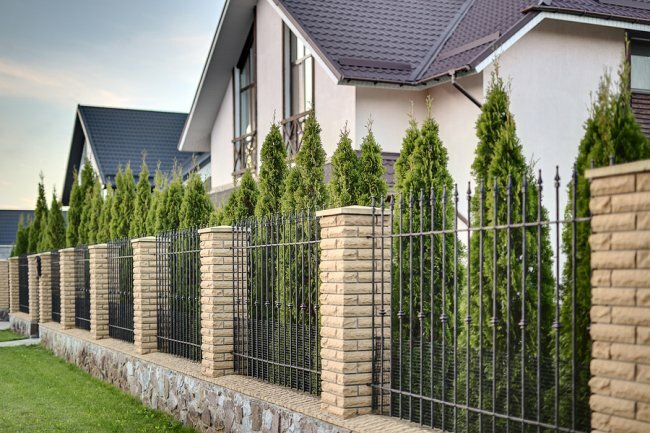 Iron fences are beautiful additions to any yard, and the fence design may be customizable, but they can be more expensive than other materials. If you are looking for more facts and answers to your questions about fencing in San Jose , call A-1 Fence, Inc. at (408) 259-2955. We can help you pick the right fencing material for your needs and price range. Your home’s curb appeal influences your home’s value. It can increase or decrease even over a missing or ugly fence. Consider these tips to ensure your home’s curb appeal is not affected by your fencing. Prospective homebuyers love to see a garden of green and colorful flowers in the front yard. By installing a new chain link fence, you can encourage vines and other bushes to grow up and around your new fence. These vines and hedges can block out noise pollution, and they provide beautiful and natural pieces of artwork for future homebuyers. Depending on the plants you choose, the process of growing a hedge into your fence may take up to a year or more—start planning your fence design before you sell. If your fence and gate have seen better days, then it is time to retire your old fence and update to a better, stronger material. Your home’s curb appeal and overall value can decrease significantly if your fence is falling down, cracking, or rusted. Stay on top of your fence’s maintenance, and when it comes time to replace, look for a newer material that can withstand the common weather conditions of your area. A new fence will attract homebuyers, and it will increase the value of your home . The main function of a fence is to create a border between your house and those next to you. If there is no fence to mark that border, then potential homebuyers may refrain from purchasing your home. Homebuyers want a house that is livable when they walk in, which makes it crucial to install a new fence right away. Establishing a fence can also help to prevent future border squabbles between neighbors. A-1 Fence, Inc. is your place to go when you need to build a fence in San Jose . We offer a range of fencing materials and beautiful fence designs. Our phone number is (408) 259-2955, and we’re waiting for your call. New backyard fences in San Jose can serve many purposes, and they also come in a variety of sizes, shapes, and materials. Whether you are looking for a pool fence or a small picket fence for your garden, your options are just short of endless. Watch this video to learn about potential fence styles for your backyard. If you want a new fence for your backyard but you are not sure where to start, think about the purpose you want your fence to serve. Privacy fences tend to be taller, with slats or pickets that are very close together. These tend to be excellent choices for separating yourself from a noisy main road or a wildlife area. If you want to continue to be able to freely communicate with your neighbors, however, you may want to choose a shorter fence that does not create too much of a boundary. When you’re looking for a new fence for your property, don’t overlook chain link fencing as an option. There are many benefits to picking a chain link fence, starting with the price. This kind fencing is among the most affordable you can find. However, you won’t compromise any security or stability. Chain link fencing is fast and easy to install, and it requires virtually no maintenance, thanks to the vinyl coating on the metal that prevents rusting. 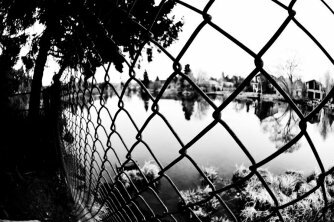 Another benefit chain link has over other fencing materials is that it maintains visibility, so you can get security while keeping your view. In this infographic, A-1 Fence explains the advantages of choosing chain link fencing for everything from a dog run to construction fencing. Rely on us when you need fencing in San Jose , and help your fellow homeowners make a decision about the right kind of fencing for them by sharing this information. How is Chain Link Fence Made? Chain link fencing is everywhere, but have you ever stopped and wondered how it’s made? The process is quite interesting, as chain link fences are knit or woven together. It all starts with a giant spool of galvanized steel or aluminum wire. A machined straightens out the wire, which is then fed into various “knitting” machines where it is cross-weaved with other pieces of wire to create the iconic chain link design. Watch this video from the National Film Board of Canada to see how a chain link fence comes together in the factory. If you’re in need of a new fence around your home or business, contact a fence builder in San Jose to learn more about the benefits of using chain link fencing. Your fencing contractor can also tell you if chain link is appropriate for your fencing needs and recommend alternatives if it is not. Dogs aren’t just pets—they’re part of the family. If you want to give your dogs room to run, start by fencing in your property with a dog-proof fence. Fencing in your yard for your dogs allows them to participate in outdoor family fun or simply go outside and “use the restroom” without having to be tethered to chains or constantly monitored. A dog-proof fence will also protect your pets from strays and wild animals. To make sure that your new fence is right for your pooch, here are some tips for creating a dog-proof fence around your property. A crucial factor to consider when choosing a dog-proof fence is the size of your pets and how high they can jump. Fence size doesn’t necessarily correlate with dog size, as many small breeds can jump higher than large breeds. You will also need to make sure that the spacing between the planks and underneath the fence isn’t big enough for your dogs to walk through. 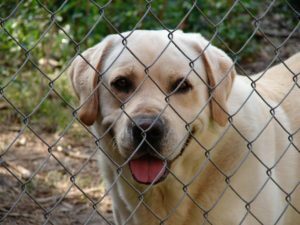 Your San Jose fence contractor can recommend fencing based on the type of dogs you have. There are a lot of fencing materials to choose from, but not all of them are ideal for dog fencing. For starters, a “dog-proof” fence won’t do much good if your dog can eat through it. Likewise, certain materials might be hard to chew through but will likely injure your dogs if they try to dig under them. Fencing made from thick, durable woods or heavy-duty iron may be a better option than plastic or chain link fences for dogs. Once your San Jose fencing contractors finishes construction of your new dog-proof fence, remove any obstacles that can assist your pets in climbing to freedom. Move planter boxes, chairs, tables, storage bins, and anything else that will give your dogs a boost and help them jump over your new fence. The right fence can do wonders for your home. In addition to providing a beautiful barrier around your property, a new fence can also provide privacy and protection for you and your family. But with so many fencing materials to choose from, it can be daunting picking out the right one for your home. Your San Jose fencing company can help you choose the right fence based on your budget, needs, and preferences. You can also follow these tips to help choose the perfect fence. Before you start looking at design books and calling fencing contractors in San Jose, set a budget for your new fence . Having a budget beforehand will help you narrow down your choices. It will also prevent you from falling in love with a particular fence style or material that is out of your price range. Once you have a budget to work with, start researching the different type of fence materials. In addition to price, consider the maintenance requirements of each material. For instance, chain link fences are virtually maintenance free, whereas wood and wrought iron require more upkeep. If privacy and protection are important for your new fence, consider which fence materials and designs offer the best privacy If you want a more open fence but still require some privacy, shrubs or climbing vines can be planted around your fence. Even with the entire Internet at your fingertips, it can be hard to determine which type of fence meets your specific needs. Luckily, you don’t have to go it alone. Your fencing contractor can help you go through the options and find the fence that’s right for you, whether it’s chain link or wrought iron. Wrought iron fences are attractive and durable, but they do require more maintenance and upkeep than other types of fencing. One easy way to refresh your wrought iron fence is to apply a fresh paint job every 3 to 5 years. 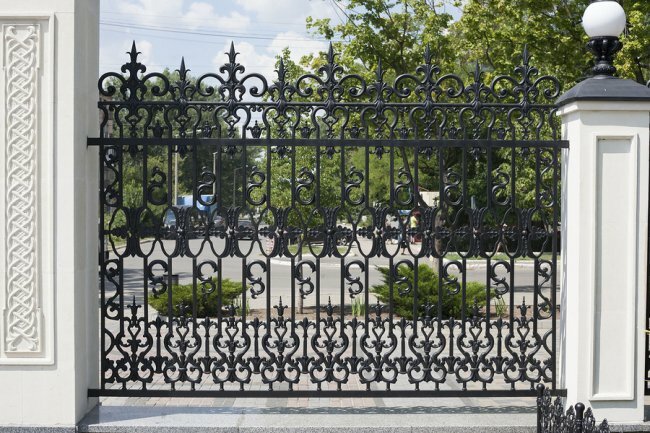 Watch this video for tips on painting a wrought iron fence. For starters, you’ll need to remove rust and paint chips using a power drill with wire brush attachment, rigid bristle brush, steel wool, or sanding sponges. You will then need to apply red metal primer. Once the fence is properly primed, it’s time to apply specialty metal paint formulated specifically for use on outdoor metals. A fresh paint job can take care of cosmetic issues, but it won’t do anything to restore the strength or durability of an old fence. If your fence is bent, severely rusted, or simply looks outdated, contact your fencing company in San Jose to request an estimate on a new wrought iron fence. You may also ask your San Jose fence contractor to inspect your wrought iron fence to determine whether repair or replacement is best.